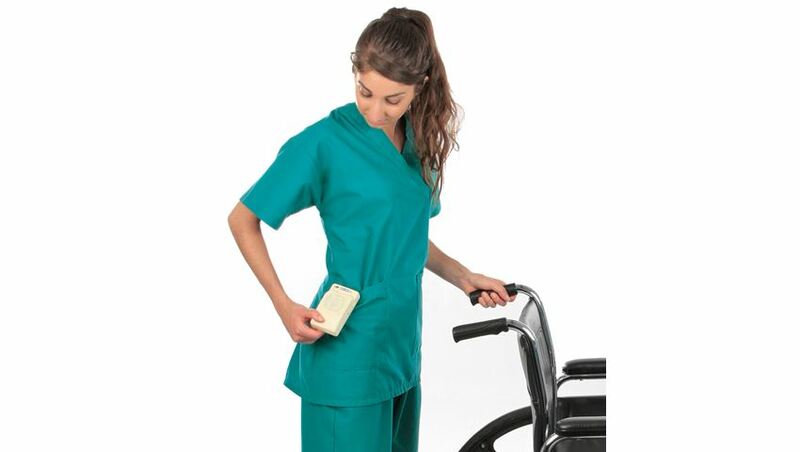 AliMed® Wireless Wander Alarm monitors the movement of Alzheimer's or dementia patients. 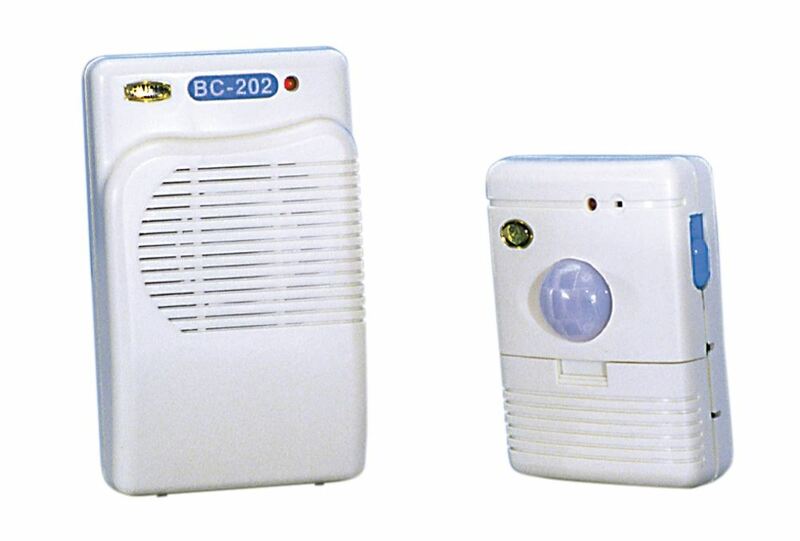 Here's how it works: The system has two components: a motion detector and a wireless remote alarm. Place the motion detector near the doorway (mounting tape supplied) and turn it on. When someone wanders within 15' of the detector, a signal is sent to the alarm. The alarm sounds, alerting caregiver of an unwanted wanderer or trespasser. The transmitter doesn't sound, eliminating the risk of resident becoming agitated. Select one of three alarm tones: musical, bell, or siren. Alarm continues to sound for 2 seconds, 30 seconds, or 1 minute after last motion detected. 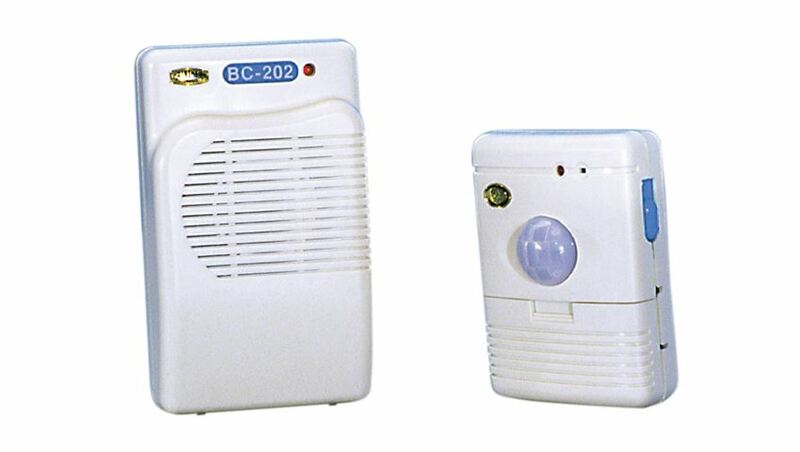 The alarm receiver can be as close as an inch to the motion detector/transmitter or up to 120 feet away. Set receiver down or carry it with you. The detector plugs directly into an outlet or can use a 9V battery (sold separately). Remote alarm receiver uses 3 AA batteries (sold separately). Not for outdoor use. 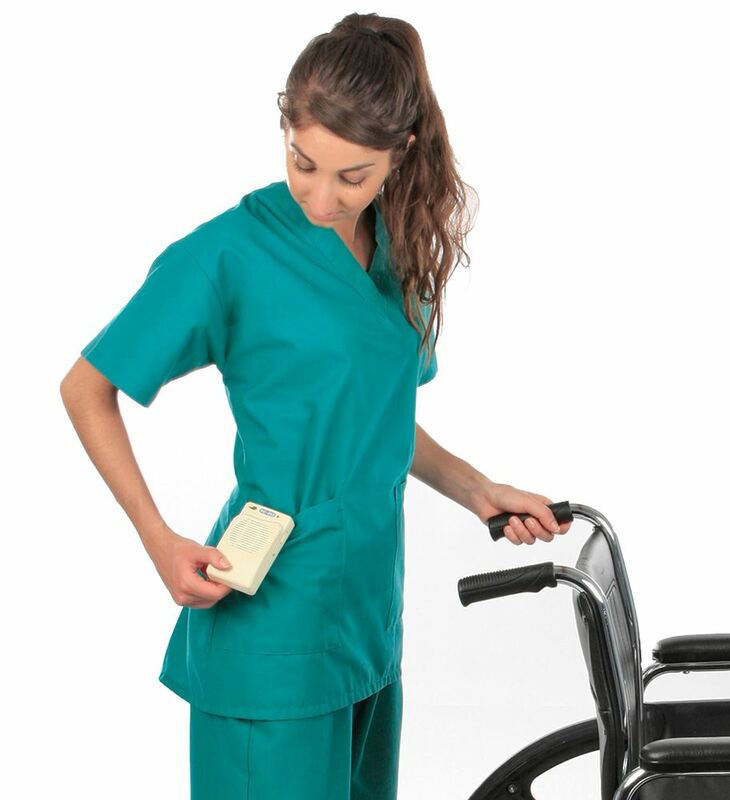 For additional information on the Wireless Wander Alarm click here.